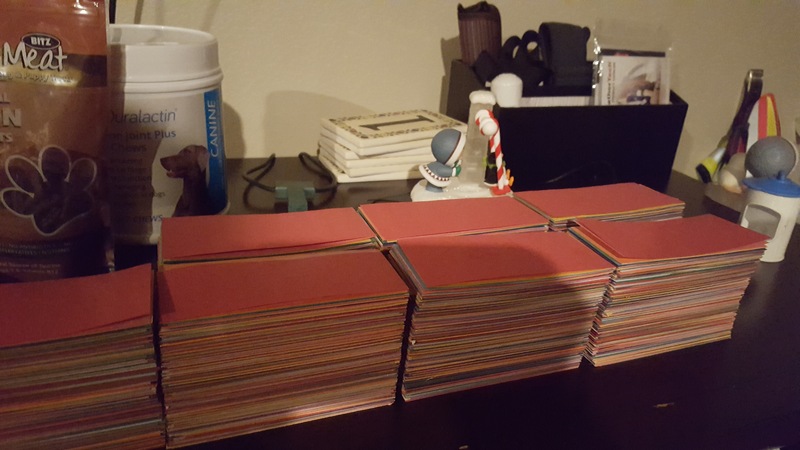 Today I want to share a project I did as New Year’s gifts. Originally, I was just going to make one for myself, but I thought maybe some of my closest friends, Mom, and Sister would enjoy one as well. 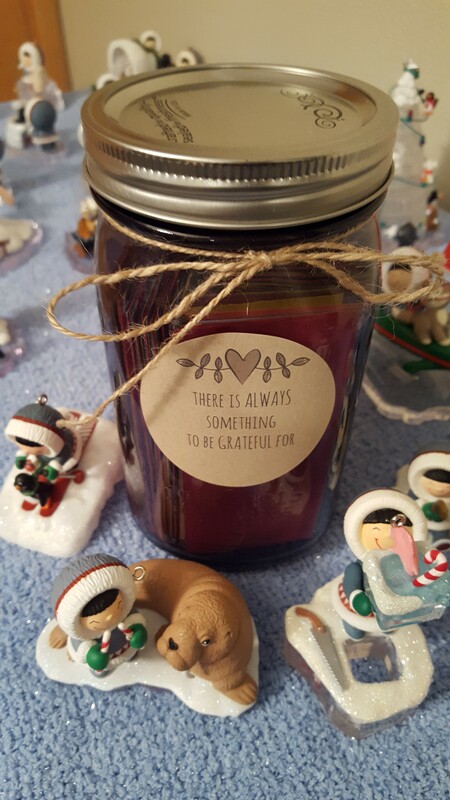 Gratitude Jars are nothing new…at least not according to Pinterest…I saw plenty of ideas there. My wish for the end of the year is to gather my friends together and read from our jars while enjoying a lazy morning brunch. suggestions on Pinterest included supplying the small pieces of paper, but I didn’t want my friends and family having to track down something to write on. 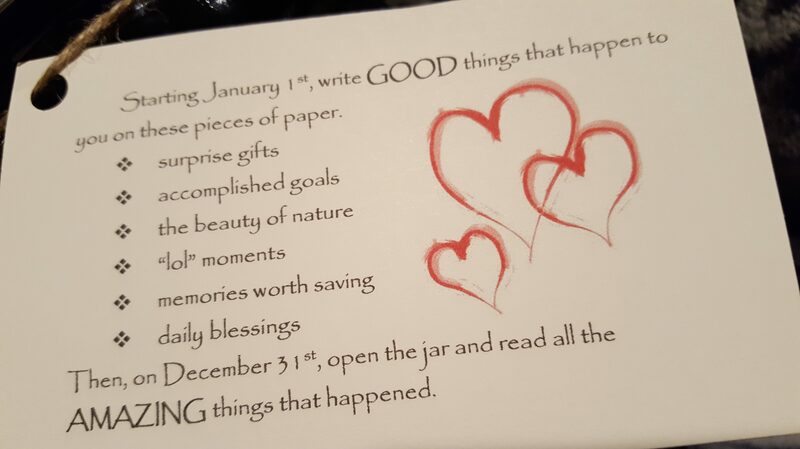 I won’t lie…this was tedious since you need 365 pieces of paper per jar. 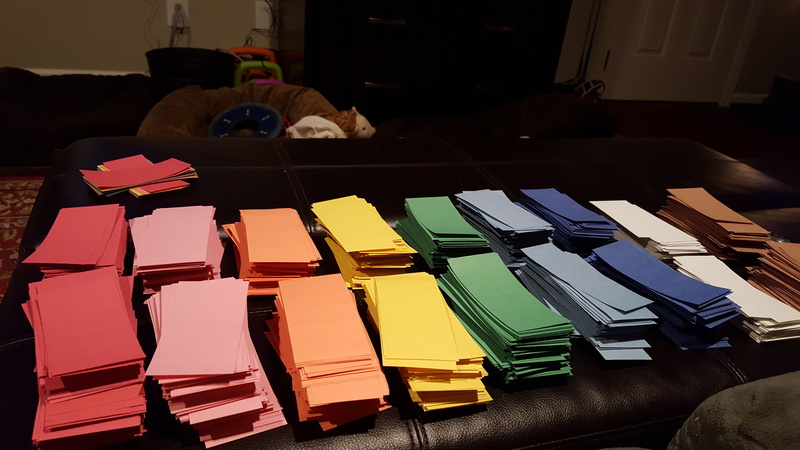 The ream of 500 count construction paper yielded about enough for 13 jars. 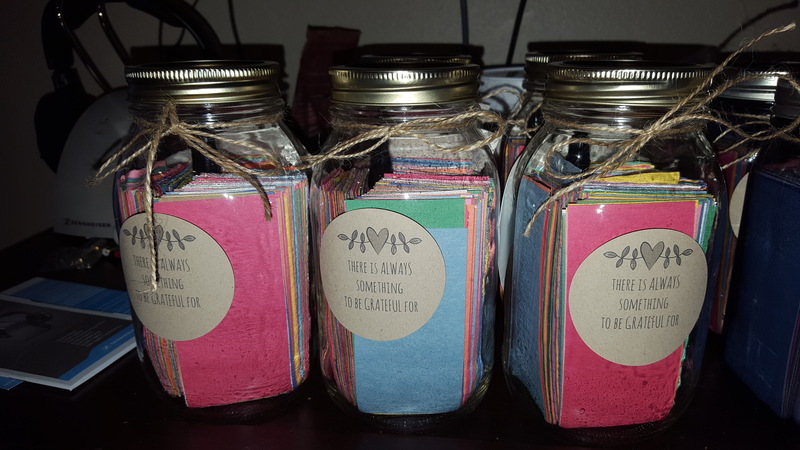 I found some instructions online and adjusted them to fit my gift, then I printed them on card stock, cut them out, punched a hole, and tied them on the jars with the twine. 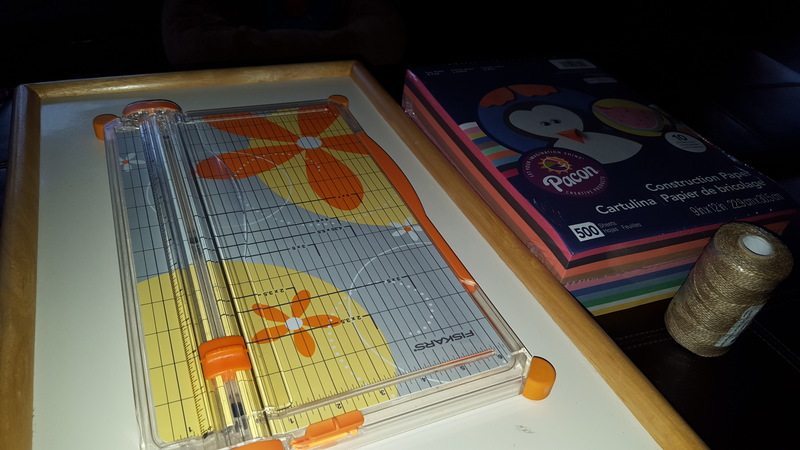 Drumroll please…here is the finished product, which also included a marker/pin inside. My goal was to include everything they needed to make it as easy as possible for them to be successful.